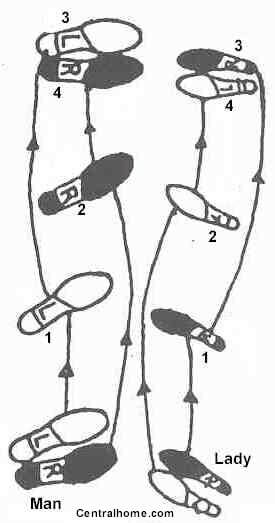 The lead will indicate the position when on the "quick,quick" of the back basic by closing the feet pointing down the line of dance. At the same time using the right hand to slightly turn the follower to their right with the followers feet closed and also pointing down the line of dance. ​After dancing a promenade walkthrough it is normal to continue with a forward basic.